Peter Speake-Marin (English): Project manager and watchmaker responsible for the in-house SM2 movement beating beneath the dragons on the dial. 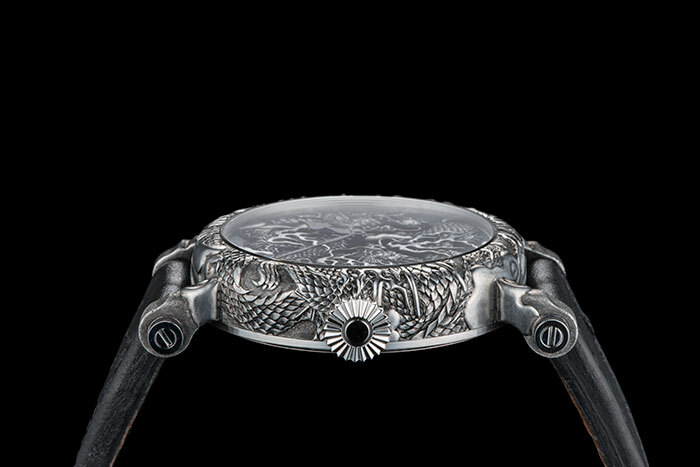 Kees Engelbarts (Dutch): Engraver for the dial, and case. 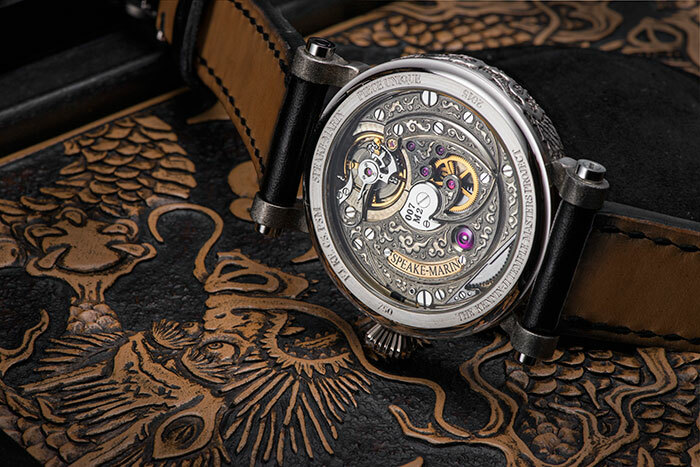 Eddy Jaquet (Swiss): Engraver for the SM2 movement. 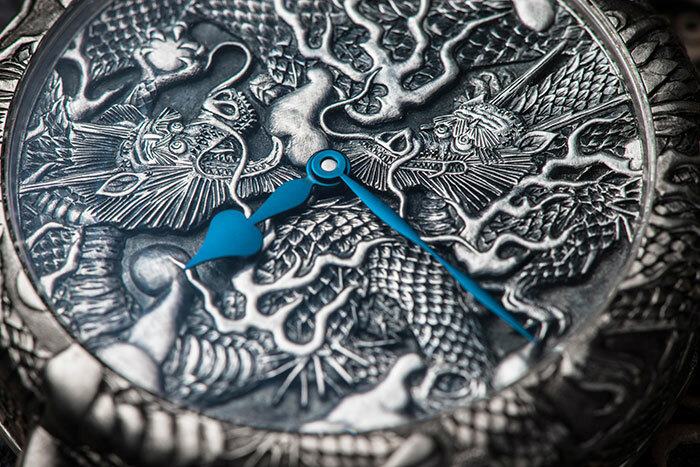 This is the most extraordinary engraving project I've ever been involved with due to the complexity of the subject (two dragons instead of one), the incredible detail of the engravings and the fact that it isn't just one component that's engraved, but the designs cover practically the whole watch. 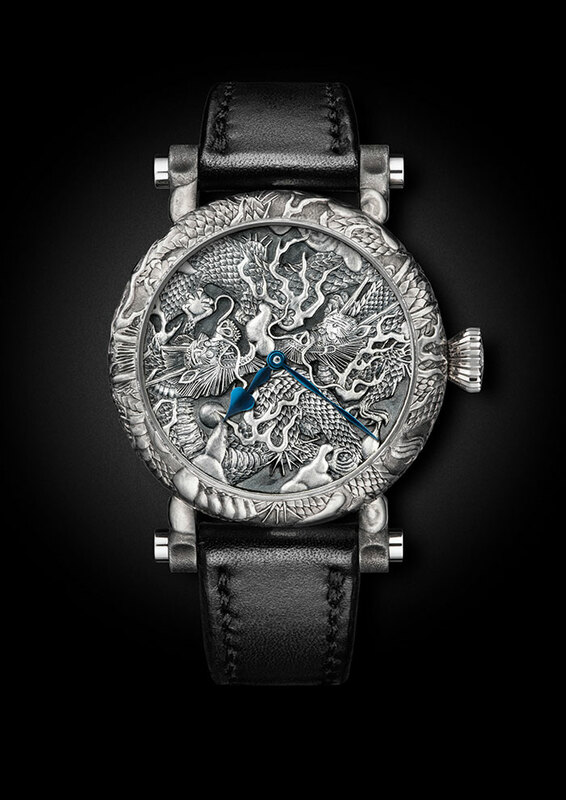 The one-off timepiece features ornately engraved twin dragons spilling out from the dial to the case and onto the surrounding presentation box. The original stepped bezel was redeveloped to have a rounder profile so that the dragons flow seamlessly from the dial, over the bezel and down the sides of the caseband. 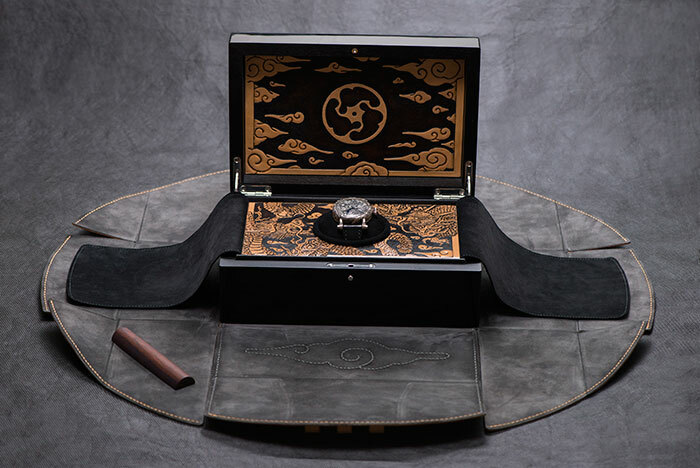 And the engraving isn't restricted to the top and sides: the movement is also engraved and the leather lining of the presentation case is embossed with a similar dragon motif to the watch. 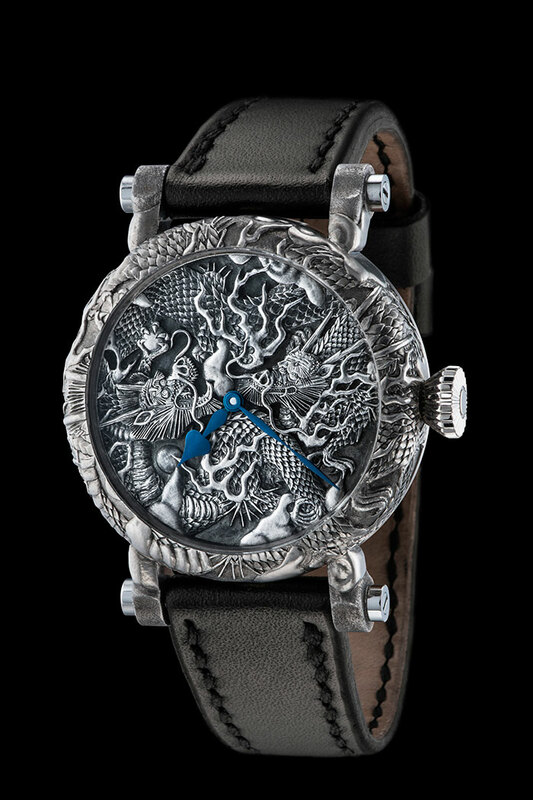 An ornate timepiece inspired by the historic Kennin-ji Zen Buddhist temple in Kyoto, Japan.